Again, it has to be mentioned that this list is not exhaustive or conclusive as it is only backed by our own internal data, public information as well as surveys done at premium gift exhibitions. But fear not, trust me, it as a true as it can get. Lo and behold, these are our updated annual dinner door gift Malaysia’s top 10 in 2018. 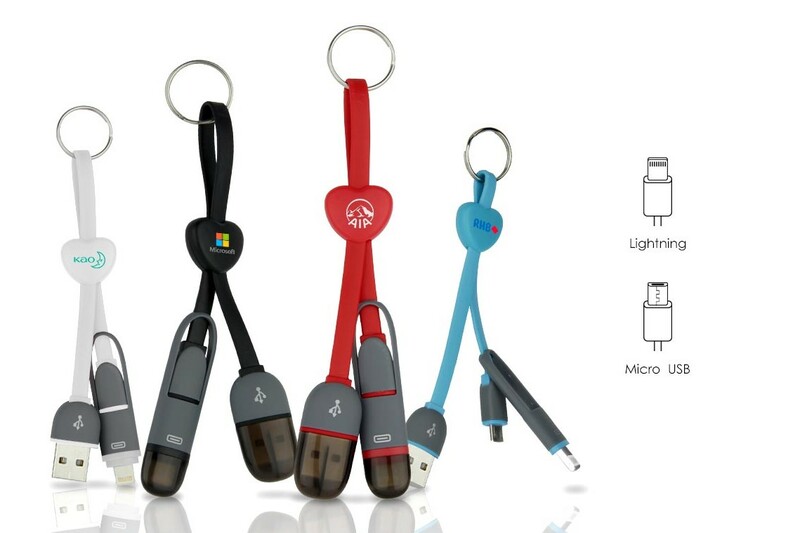 Spot on as we predicted in our last December blog post, 3 in 1 charging cable and also its sister variant 2 in 1 charging cable are the most requested annual dinner door gifts Malaysia in 2018. The reason is simple, as everyone now from their children to grandparents have a smartphone nowadays, a charging cable would be a very practical gifts for essentially everyone! The charging cable would continue to be one of the most important accessories to be had by Malaysian for the foreseeable future, until everyone’s phone can be charged wirelessly one day. Although we predicted the suction bottle and mug variant will be all the rage in 2018, the old regular bottle and mug continue to be in high demand. That is not surprising as similar to the reasoning that we gave to charging cable, everyone from the children to grandparents could use the mug or bottle in their daily lives. 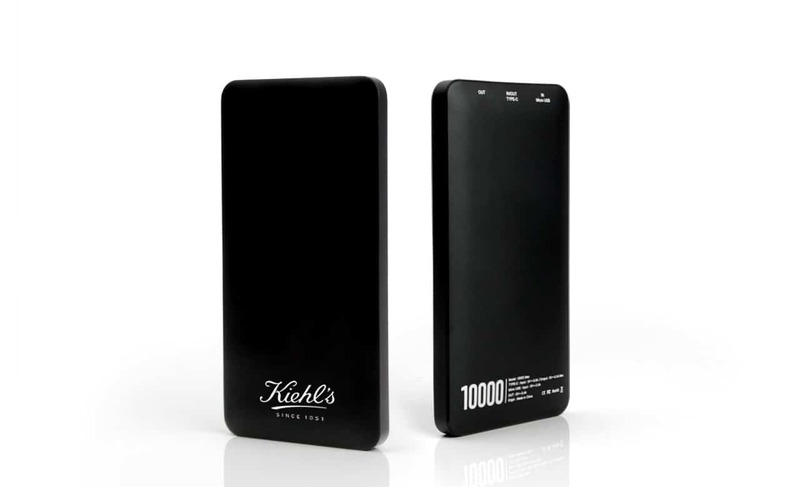 Power bank continue to be on hot demand ever since the introduction of this product in premium gift scene in early part of this decade. Although we predicted the higher capacity of power bank will take over to rule the day, the lower capacity especially those above 4000mAh range continue to be requested by door gift customers. We think this is because the higher capacity has not reached the sweet spot price range of RM30 where the bulk of the premium gifts demand are at. As the price of batteries continue to come down, the price trend will further move towards that sweet spot sooner or later. For those companies that deals with industrial, construction or labor focused industry, it does not make sense to give out office related gifts to their employees at their annual dinner. What is thumbdrive use for manual labor out there without any laptops. Hence the best gift that might be of use to these employees are multi-tools that they can carry in their pockets for whatever ‘mechanical’ situations that they might encounter. Hey I bet even the office workers out there would appreciate this kind of gift. Hey, you might never know when you need your office chair screws to be tighten..
Companies with plenty of their employees travel a lot would appreciate travel adaptor as a gift to their employees. Not only their employees would be happy to be able to get their gadgets charged where ever they are in the world, their employers would also be happy to be able to know that their employees would never run out of batteries for them to be contactable to the companies. Aha! 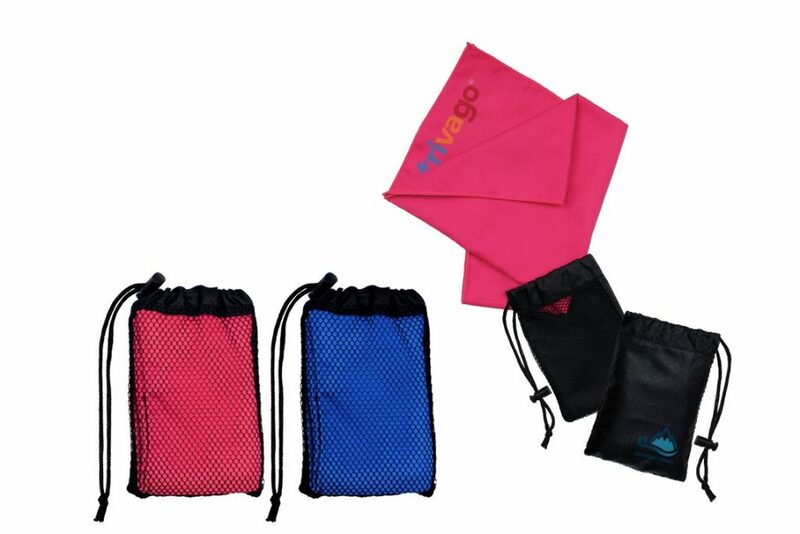 Do you know of any other towels that fit in your pocket comfortably for your everyday needs? I bet not. This microfiber towel is perfect for everyone. 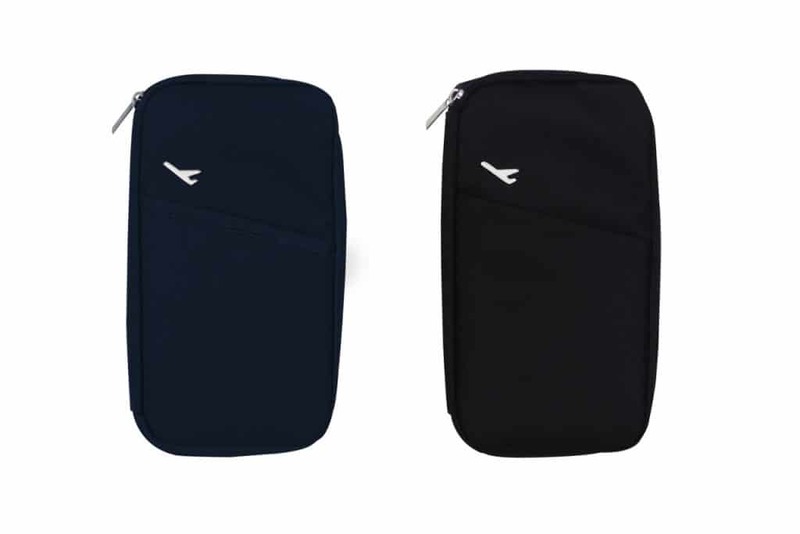 Similar to travel adaptor, travel organizer would be perfect for companies with many of their employees travel a lot. Now employees would never forget to bring their passport or flight tickets to the airport any more. It is after all Malaysia so what is one of the thing that you would associate with Malaysia? Rain and lots of rains of course! 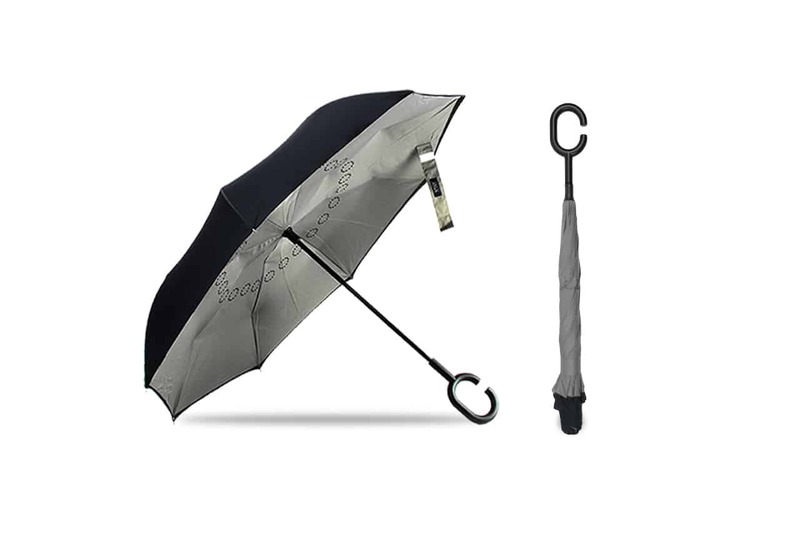 Hence umbrella and the newer variant – inverted umbrella would forever be one of the most popular gifts door gift Malaysia. 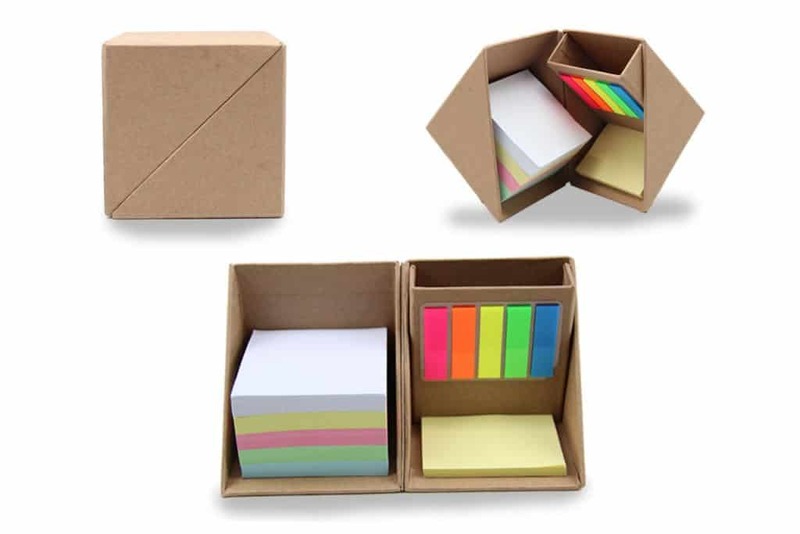 Perfect for companies with office bound employees, this sticky memo box would be most useful for those who lost their pens once a week, those who would ask for sticky tag from their next cube colleague every other day and those who forever do not have any notebook with them to jot down a caller’s phone number. The daily chores of office or workplace life might be boring for some. Once in a while, you might want to be able to dream and imagine a more adventurous work-life. 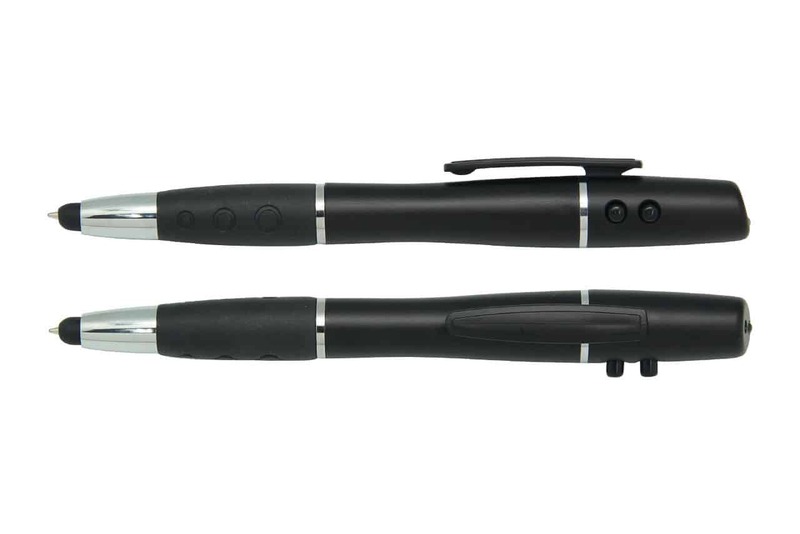 This 4 in 1 pen would be a perfect complementary tool for this task, i.e. to summon the agent Bond 007 in you! Interested in ordering one of these gifts for your company’s annual dinner 2018? Contact us at sales@advertisements.com.my or call/whatsapp me at 018 275 8867 we would be happy to help! Yes we know, it is still December 2017 and still around 2 weeks away from the new year but it does not mean that we cannot forecast which door gift for annual dinner will be Malaysia’s hottest selling in 2018! Of course our prediction will not be the conclusive list as customer’s preference will always change according to trends but it can be a helpful guide for ideas for your annual dinner door gift in 2018. How do we come up with this list? Easy. We analyse the top gifts selected by our customers, top trending gifts from publicly available information and also new type of gifts that are being offered to customers. Without further ado, these are our prediction Malaysia’s top 10 door gift for annual dinner 2018. Why? – Everyone nowadays carry with them smartphones and what are the number one most important accessory to these smartphone users? You guess it right, of course charging cables! 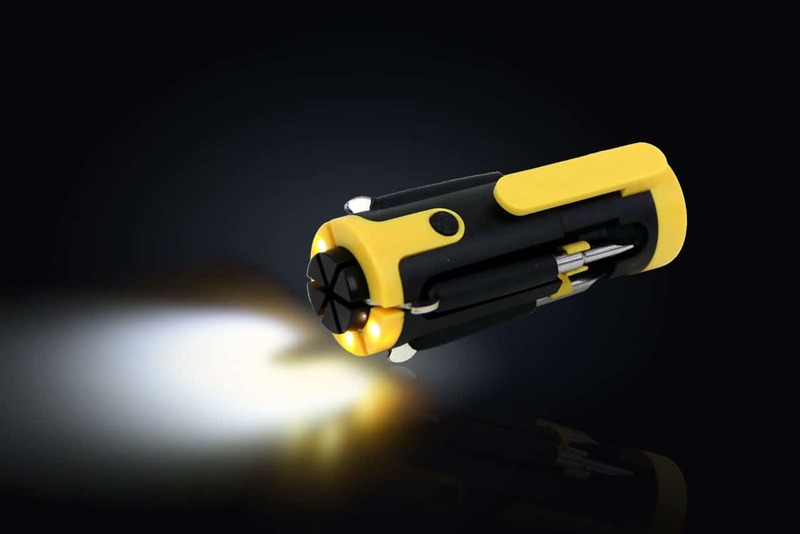 Charging cable would make the most suitable door gift for annual dinner as it will be useful to all as it can be used for Android phones as well as iPhones. In addition, the price is affordable as you can have it as cheap as less than RM10. Why? – Drinkware has been the staple of gifts that are given to dinner goers at company’s annual dinner ever since the concept of annual dinner was created. Ok we might exaggerate a bit. But you get the idea. It is the most common door gift given at annual dinner. What is better this staple gift then? Drinkware with suction at the bottom of course. 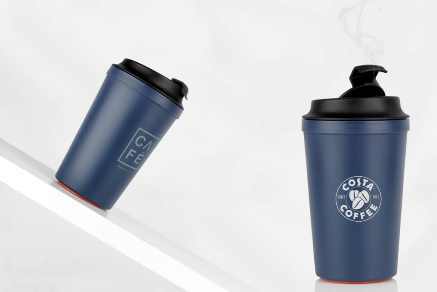 Now your self-brewed caffe mocha will never spill on your office laptops again! However, be prepared, this drinkware goodness will cost you a bit but we promise it will be worth it! Why? – the idea of door gift is to give something that everyone will appreciate and remember the good times at company’s annual dinner. So the most basic requirement is, it has to be something that everyone can use. 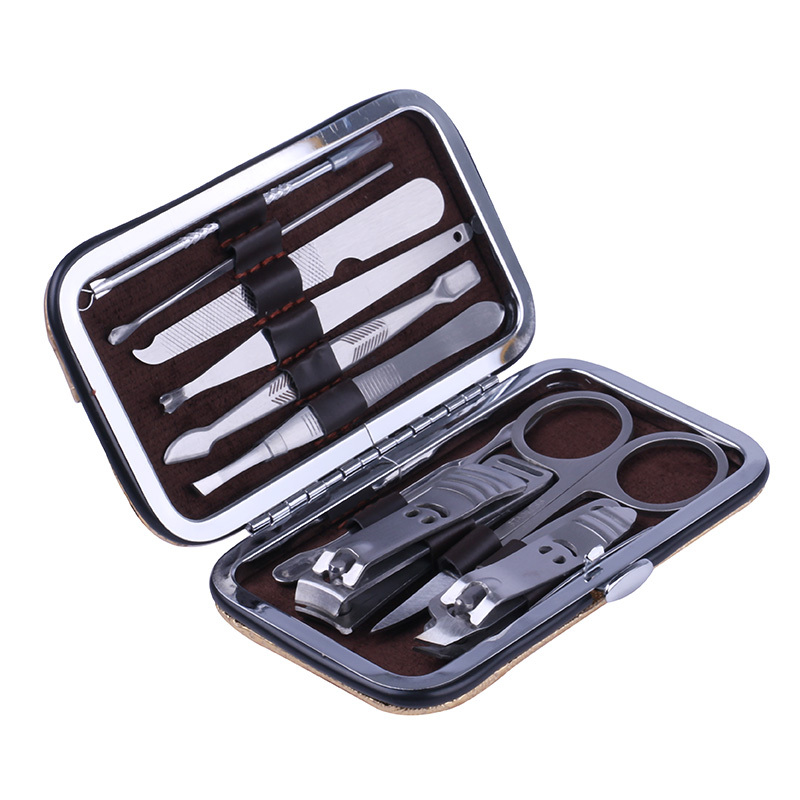 And this is why manicure set is such a suitable door gift for annual dinner as the product can be used by attendees of the annual dinner themselves or their family members. Why? This might sound like our argument for number one gift on the list but it is absolutely true, everyone now carries smartphone with them and they cannot ‘survive’ without them (ok those who were born before Merdeka might be able to survive without smartphones). What better way to ensure survival of their smartphones other than power banks! The difference between power banks that you got in annual dinner 2014 and those that you will be getting in 2018 is the capacity is now bigger since bigger capacity power banks is getting cheaper. What might cost RM100 in 2014 might now only cost RM50! Ever try to get into your car when it rains heavily? You might as well not try to not get your car cushion wet, because it will still be absolutely get wet whatever you do. This is the magic of inverted umbrella, you no longer have make an effort because the umbrella will do the work for you. Similar to drinkware, umbrella has been the staple door gift for annual dinner ever since the concept of annual dinner was created. You can call it umbrella 2.0 because it is absolutely a revolution to the concept of umbrella as we know it and it will be one of the hottest annual dinner door gifts in 2018. 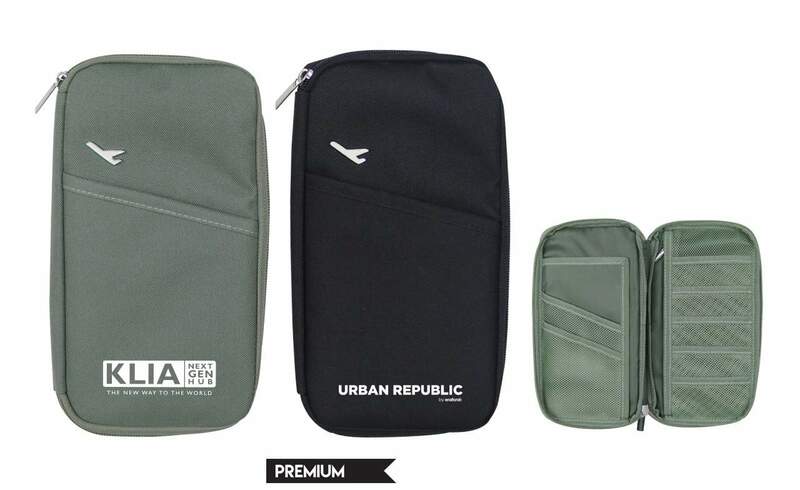 Those travelling by flights a lot would really appreciate an organizer that would fit their flight tickets, passport and any important documents in one place. 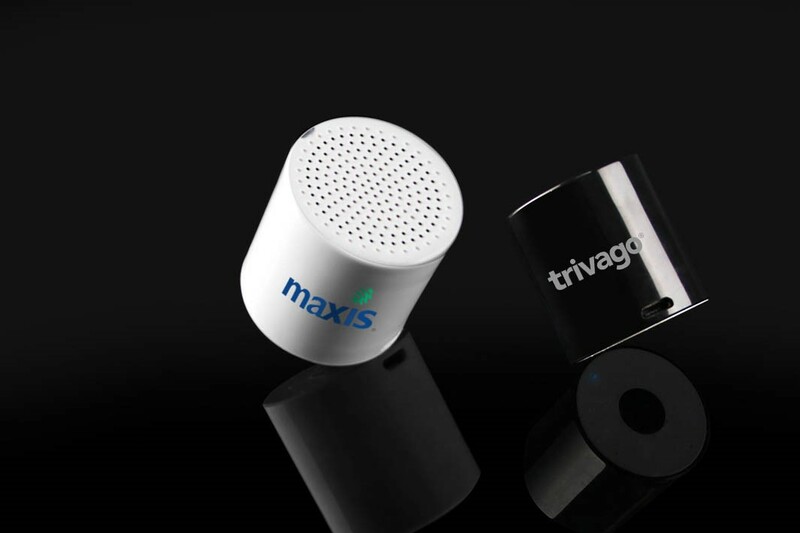 Bluetooth speaker used to be a very expensive gift to be given to attendees of annual dinner. 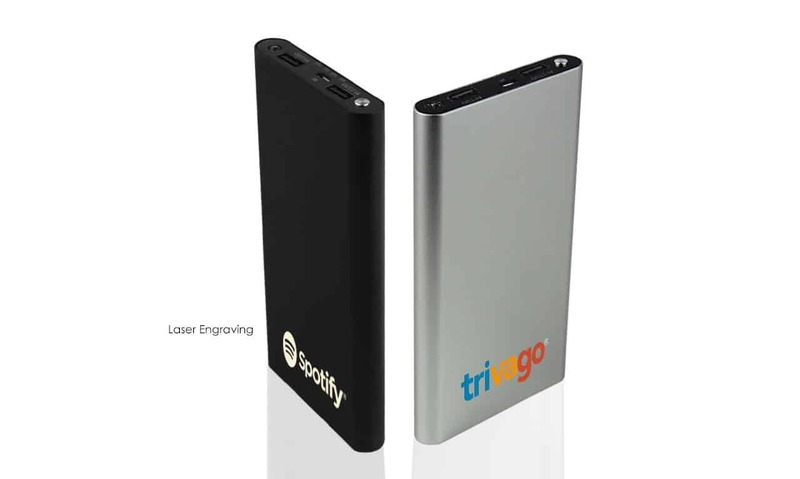 Similar to power banks, the price has come down and now it is more affordable to be given to annual dinner attendees. 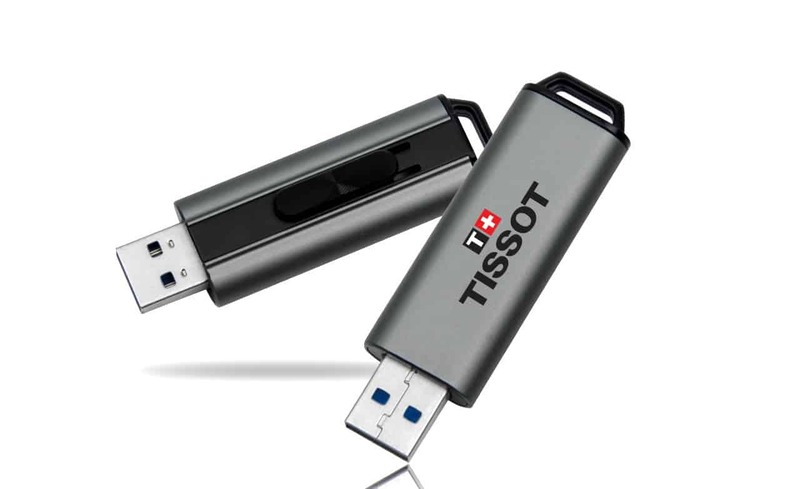 Thumbdrive or flash drive is one of the most popular gifts for companies that mainly employ office workers to make it easy for them to save their office works on the thumbdrive. USB 3.0 just means that it is now faster (subject to compatible computer or otherwise it would be just normal speed) to transfer files. You can expect your fellow office workers who would be the attendees of annual dinner would go for vacation at one time or another, so the inflatable pillow would be a perfect companion for long travel. Microfible tower is perfect to be kept at office, in car or at home as you might never know where you will spill your coffee, it might be next to your keyboard, while you are steering your car or your children might spill your coffee at home. There is a new emerging trend which states that door gifts are a perfect way of receiving your guests. In this way you will be able to offer them something symbolic and classy, transforming a little gathering in something more. Door gifts don’t have to be too expensive, and their charm consists in simplicity. The main reason people like to handle door gifts is because in this way they are able to create their own unique signature, paying attention to every little thing, being thus able to make a statement. This doesn’t mean that you will have to use door gifts every time a friend comes in visit. This would be too much, and the important events won’t be as special as they are meant to be. Mentioning important events may be a clue for you, as you are able to see that door gifts are actually used when you have a party, or an important event/gathering. This little object may be the symbol of your event, and therefore each time they will look at it, they will remember you and the wonderful time spent at your place. Annual dinner. 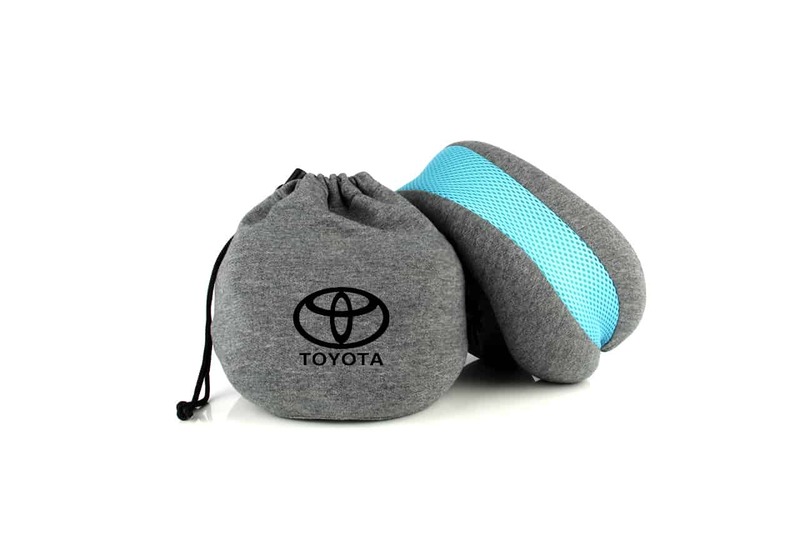 Companies often held an annual dinner once a year and this is a perfect place to give out door gifts to employees as a gesture of appreciation to their effort and loyalty to the company. Events. Exhibitors give out small and inexpensive gifts to visitors so that the brand recognition can be carried over even when the particular event ended. Book Clubs. Do you have the book club meetings at your place? If the answer is yes, you can make this meetings more interesting, by offering each member something symbolic. Baby shower. A baby is always a reason for happiness, and therefore, by throwing a baby shower for the mother to be, you can also hand over a few gifts for all the guests. It will be a thoughtful attention, and everyone will leave with a smile on the face. Such nice surprises will always make someone happy. Weekly movie nights. Movie nights can become something epic if you create a special tradition. You can buy a few gifts that can relate with the movie. In this way you will be able to personalize this event, creating something totally different. Pajamas party. Once in a while you can gather with your girls, talking about guys and many more interesting things. You can share secrets while drinking a glass of wine. You can loosen the mood by offering each one of your friends something symbolic, preferably something funny and out of the ordinary. As you can see, it is really easy to choose some moments for these door gifts, and with a simple attention you will be able to make your friends happy, offering them a great time and some unique memories. 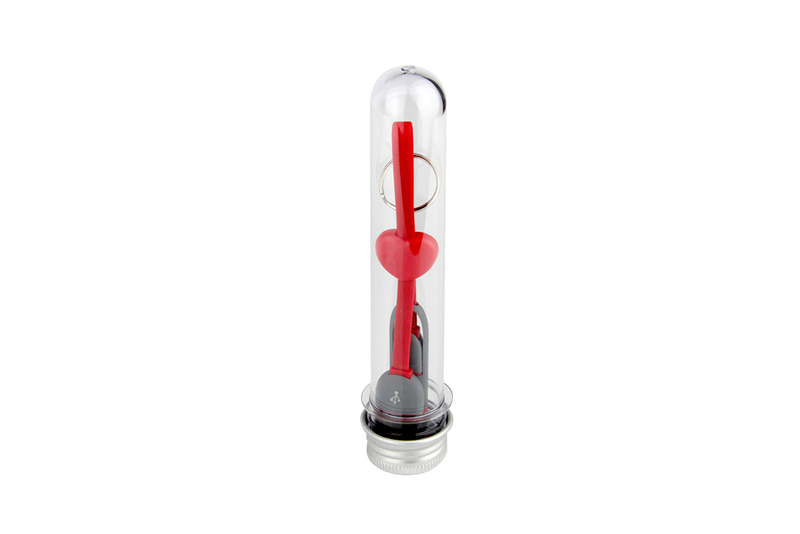 This little object may be the symbol of your event, and therefore each time they will look at it, they will remember you and the wonderful time spent at your place.